I have done 2 cycles of San V12 Fuel Injection - one was the original San V12 Fuel Injection awhile after it came on the market, and another cycle I used the newer San V12 Turbo, which replaced the original. I have to say that both times, I was quite impressed with the product, and its effectiveness, probably more so the second time around. In a nutshell, San V12 is just a creatine product mixed with some taurine, and AAKG (or "NO2"), glutamine, and some other ingredients that work synergistically to give you more effective workouts, and even a "perpetual pump" as some users claim. Perpetual pump? Well, I for sure can't say that I ever felt a Perpetual Pump while using San V12; perhaps its more fitting for me to say that it was more of a "perpetual half pump" for me while using San V12. There was some noticeable increase in vascularity and pumps, but the "pump" from San V12 use is nothing like the pumps I get from lifting heavy weights - So I can't say it gave me "perpetual pumps". However, at normal times (outside of the gym) I did feel slightly more "pumped". In the gym, it's a different story. 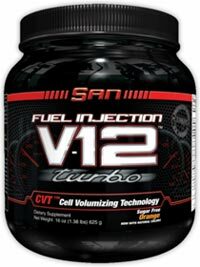 V12 not only made me more pumped, at the same time, the creatine effects was almost immediate once I started using San V12 - meaning noticeable increase in endurance and energy output during workouts, allowing me to push more weights and push harder. To me, I felt there was a noticeable difference between my 1st and my 2nd San V12 cycle, where during the 2nd cycle, I felt the V12 effects almost immediately within the first 2 or 3 days, whereas during the 1st cycle, I started feeling the effects after 4 or 5 days. (Note: I used the original for 1st cycle and the newer turbo version the 2nd cycle). Now, I can't say if its because the San V12 Turbo is better than the original, or simply its just my state of physical well being at that point in time. Who knows? =) In any case, both cycles worked well and I real like this creatine / AAKG product. So, how do I rate this product on various aspects? Let's take a look. Price wise, it was quite pricey when it first came out, but now, its not nearly as bad, since you can get it for just under $40 for a tub - compared to just pure creatine mono. its still much more pricey and gives less servings, so price wise, I'd give it a 7 out of 10. As far as effectiveness goes, as stated above, I felt the effects of V12 Turbo almost immediately, and also enjoyed more intense workouts. I'd give it a 9 out of 10 on product effectiveness. Finally, taste is always a factor people consider before buying various supplements, and I'm no different. I tried two different flavors for my cycles, 1st time I used orange, and 2nd time I tried grape. While the flavors aren't horribly bad, they aren't that great either. It tastes quite artificial, and there's a slight after taste that makes me drink more water to wash it down. The orange flavor was quite sweet compared to grape, so I used more water with that flavor. But if I had to pick a flavor of the two, I'd probably go with orange (just a personal preference). Taste wise, I'd give V12 a 7.5 out of 10. Overall, I'd give San v12 a 8.5 out of 10 - all things considered, its effectiveness that matters the most, and San V12 delivers fantastically in that area. While the price and taste areas can be better, I think San V12 is a worthwhile creatine product to try if you haven't already. Jim; I posted about these products from San,not much feedback fromV12 and Infusion. 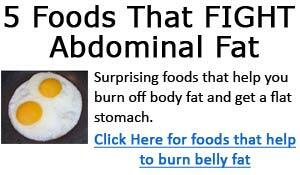 Just to let you know they are great for me. I have gained 8 lbs in 2 weeks,I mentioned my current bench 231. I added 25lbs to my curl bar,30 lbs to my Tricep pulldowns,40lbs to my military presses. The muscles are bulging its unreal. You think I was taking steroids.I hope Infusion is not a steroid product. I emailed you a few weeks back about V12 and since Ive been on it Ive had modest results, mainly Ive been more cut and have energy bursts on it, I think the results vary based on what you stack it with, I stacked it with weight gainer from time to time but, I started the weight gainer on Sept. 1st and V12 probably halfway through September, on Sept 1st I weighed 188 and now I weigh 194-96. Im a really bad hardgainer so I think it’s a decent gain overall. I think the V12 results would’ve been better with the right dedication. I look forward to your feedbacks on these supplements!